Do you know where to get help if you’re unwell or need health advice over the Christmas period? Local health experts at NHS Surrey Downs Clinical Commissioning Group want to make local people aware of the variety of services that are on hand over the festive break and remind people that help is always available. Pharmacies are open across Surrey during the festive period. Pharmacists are trained to give health advice and can help if your GP practice is closed. A full list of the addresses and opening times can be found here www.surreydownsccg.nhs.uk/Christmas. If you’re travelling away from Surrey there are also details of pharmacies across the South East. If you need to access out of hours GP care, you can call 111, the NHS non-emergency number, which is available 24 hours a day, 365 days a year (calls are free from landlines and mobile phones). In a health emergency you should always call 999. We’re also working with NHS England, local hospitals and GP practices to provide extra GP services and clinics during the busy winter period. We’re also supporting local healthcare initiatives such as extra children’s clinics in East Elmbridge for those registered with a GP in the area, and additional appointments in GP practices across the Surrey Downs area (which includes Epsom and Ewell, East Elmbridge, Dorking, Banstead and surrounding areas). Contact your local GP practice for details. 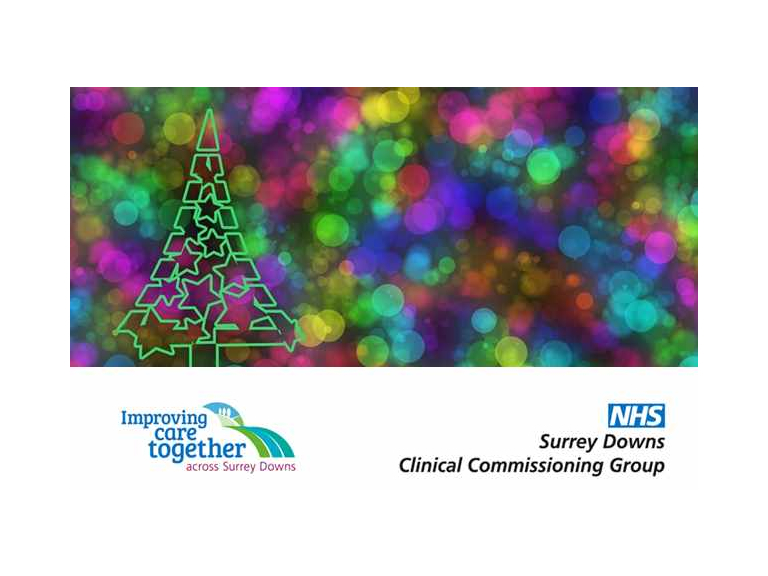 Dr Claire Fuller, Clinical Chair at Surrey Downs Clinical Commissioning Group, said: “Thanks to everyone who will be working hard over Christmas and the New Year, our local NHS continues to make sure people can get any help they need during the festive break.